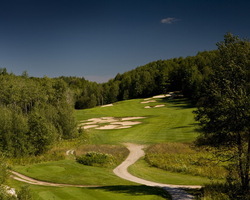 Looking for Package Deals to Treetops Resort? We have those too! Golf Michigan and be part of the Dawn Patrol and twilight finish. For those of us that love golf and would rather be teeing it up on the golf course than doing anything else Michigan's 800+ public golf courses and world-class golf resorts speak our language fluently. 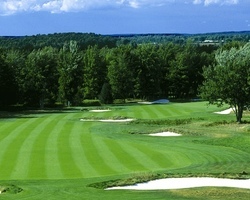 Golf in Michigan and enjoy the long days and ideal weather that make for the perfect tee time. So whether you bring you're "A" game or your hack dreams, we've got more Michigan golf courses than you can handle. Because playing golf all day instead of just talking about it is Pure Michigan. 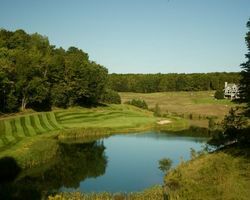 Michigan's resort courses combine luxury lodging with challenging holes designed by an impressive roster of noted golf architects to take best advantage of the scenery and natural landscape. Enjoy spa treatments, gourmet and casual dining, entertainment and other amenities for a memorable golf getaway. 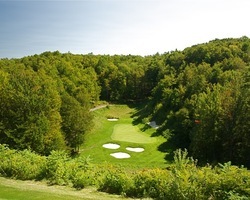 Michigan boasts more public golf courses than any other state in the U.S., and certainly some of the most beautiful scenery for learning the game of golf, from the rolling hills of the southern Lower Peninsula to rugged terrain in the U.P.